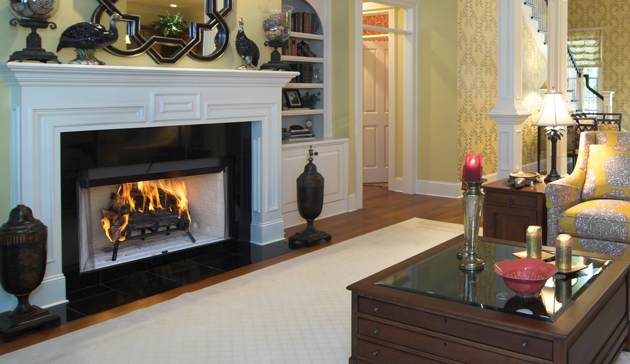 The Craftsman fireplace sets a new standard for wood burning beauty, performance and convenience. The bedrock of the Astria wood burning family, the Craftsman features the industry’s finest, most realistic textured refractory brick liners. Hidden screen pockets maximize the viewing area of the fireplace. An easy access damper handle and position lock outside air controls support consistent performance. The Craftsman is designed with gas line knockouts to allow homeowners the option of installing an Astria gas log set, with all gas connections and controls hidden out of sight. Clean face and louvered models available. Screens retract into hidden screen pockets for a clean elegant look. Glass doors available with black, Brushed brass or platinum trim. 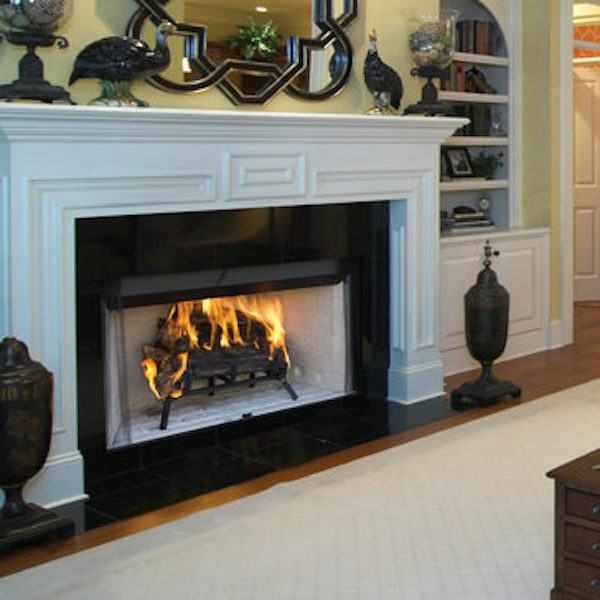 Fully insulated firebox (on select models) for increased performance in colder climates. Easy access damper with position lock outside air controls. 8” double wall wood-burning chimney. Durable textured powder coat finish. Fan kit available (for circulating models only).